Have you been drowning in domestic, commercial or construction waste? Do you need some help to get rid of it at the lowest possible price? Your search ends with . Being the most reliable and fastest service provider for waste removal in Sydney, we help you choose the right skip bin size as per your requirement. In case, you have been overlooking the waste amount near your residence or working space, you need to know that by 2030 Sydney will be sending 200,000 tonnes of waste to landfill a year. The numbers are scary, right? Hence, it is essential to take necessary actions to reduce this waste and the damaged caused by it. You can contribute to it too and it is possible by hiring a skip bin provider who follows all laws and regulations of your state or suburb. We can provide you finest quality skip hire and rubbish removals services in Sydney. Whether you need it for your home or worksite, our experts can assist you get rid of waste and refuse in absolutely no time. Where to find affordable skip bin hire services in Sydney? 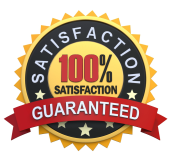 Being a 100% Australian owned company, Skip Bins Hire ensures that the customers are benefitted with quick and cost-effective rubbish removal services. We have served numerous residents and businesses in Sydney. We stand by our commitment to provide excellent quality services. You can speak to our professionals for any kind of queries prior to booking a bin. Just enter your requirements and postal code. Rest of the task will be done by our experts. Having extensive database of cheap skip bin suppliers, we get back to you instantly with an available skip of your choice at the best price. What type of waste Skip Bins Hire deals with? It is essential t o understand that the identification of your waste type is important. There are certain waste types which are strictly prohibited from being placed in skips in Sydney. Hence, before you choose a bin, look for the waste type. Moreover, it will affect the price of skip services too. Not sure which waste type your waste belongs? Feel free to contact us and our experienced staff will be happy to assist you. 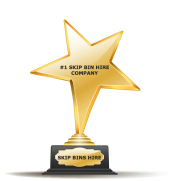 Skip Bins Hire takes pride in serving with an unmatched range of skip sizes and availability. Generally, customers find it difficult to visualise the difference between the different skip sizes. But our professionals are readily available to help you choose the right skip size. So, whether you are doing some renovations at home or you just need it for office waste, is there with an array of skip sizes to suit your every requirement.No matter what you need cheap skip hire for, we can provide you with a rubbish bin that will suit your needs perfectly. For further queries, you can call us at our Sydney's office branch.